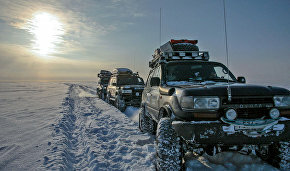 A year ago, a team of travelers, Degrees of Discoveries, caravanned up to the Nenets Autonomous Area. 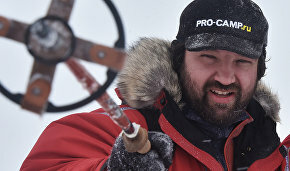 The expedition resulted in a film,“Region 83: A Leap to the Arctic.” Expedition leader, Sergei Pishchulov, told arctic.ru why everyone should visit the Nenets Autonomous Area. Mr. Pishchulov, how did you become interested in travel? It all began when I was a child. My dad's a former musician, who travelled a lot across Russia. When I was five, I already knew where Samara, Tula, and a number of other cities were. Also, my grandfather had a job at a big plant in Reutov, where Russian cruise missiles were made. He also went on business trips around the country and told me many interesting stories. So, I began dreaming about travel. After I graduated from the geographical department in 2010, my friends and I started organizing trips together. At this point, I've visited and studied 71 regions in Russia, traveling overland more than 250,000 kilometers. Besides Russia, I've visited 15 foreign countries. But I travel mostly in Russia lately. So far, travelling is an interest, but I'm trying to make it a profession. Do you travel with Degrees of Discoveries? The last two years, yes. The project was started in April 2013. Our first major trip was from St. Petersburg to Sakhalin and back in a regular car. I mean an ordinary car without any off-road or other modifications. Last year, you traveled to the Nenets Autonomous Area. How did you come up with this idea? As the Degrees of Discoveries guys and I were returning from the Far East, we said our next trip should be to the north. By the way, the north is my favorite region. We chose the Nenets Autonomous Area because one of the main aims of our project, Degrees of Discoveries, is to give people an idea about different regions, to popularize tourism in Russia as a whole and in individual regions in particular. As we looked at the media coverage of different areas, we found that there was very little information about that particular region. So we decided to visit Nenets and do something more serious than just post our blogs online. This was how we decided to make a film. We began preparing in September 2014. We prepared for a filmmaking expedition. On January 31, 2015, we left St. Petersburg for Naryan-Mar. There were four crews, 13 people from six regions in Russia. Like during the Sakhalin saga, our vehicles were not modified for an expedition. The only exception was the Sobol van brought by our friends from Karelia. Besides, none of us had ever participated in winter motor expeditions to the north. Nevertheless, we covered about 3,000 kilometers to Naryan-Mar and never stopped filming. So, we did it like that. The expedition lasted 17 days. Most of the guys work five days a week and can't afford more time off. 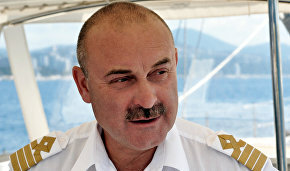 We got behind schedule, spending four days in Usinsk in the Komi Republic. It was a forced stopover. The last 250 kilometers were on a remote winter road in the tundra. When we reached it, it was basically closed because of seven days of blizzards. So in Naryan-Mar we had to rush the filming and send one cameraman instead of two, as planned, to each location. How did the cameras perform in that weather? Our main videographer, Andrei Bliznyuk, had prepared for a northern trip, making insulated boxes for the cameras. All the controls were outside the boxes. We also took many spare batteries and lenses. Regrettably, our second cameraman ruined a lens by entering a warm hut after being outside in a very cold blizzard. 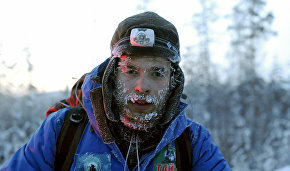 Aside from technology we had enough food for several days in case we got stuck in the tundra, and warm clothes too. Was the winter road the only obstacle or were there others? No, it was the only serious problem. But we benefitted from this as well, because we managed to shoot a lot of good scenes with people on that road. Things like that happen a lot in the north and it wouldn't have been authentic if we'd traveled the winter road without problems. As it was, we showed a truthful view of life in the north and had a taste of it, into the bargain. We spent 42 hours making our way across 250 kilometers. What struck you the most — people, nature, quality of life? We were struck by the tundra's beauty — whenever you step from your car, you see a wide, flat snow desert stretching to the horizon. It was there that I saw the halo effect for the first time, when tiny ice particles in the air reflect the sunlight and it looks like several little suns are dancing before your eyes. It's unbelievably beautiful. We were also impressed by the people. I was just amazed at how people in the north and in the NAA treated others. Even as we drove on the winter road, it was good to know that the people around there would help you if you got stuck. Your first impression is that the northerners are sullen introverts. But it's just the first impression. As you talk with them, you understand that they are people with very strong characters. They communicate without ulterior motives, you sense no falsehood, and you know that they are willing to help if you get in a difficult situation. You met with indigenous people, too. How do they live? Do they keep their traditions? In the Nenets area, the indigenous people are the Nenets. It's populated by about 43,000 people, of whom 7,000 are the Nenets. We met a family of reindeer herders. The husband, Radik, was half-Nenets, half-Komi. His wife, Nina, was Nenets. The most important thing for them was their reindeer. 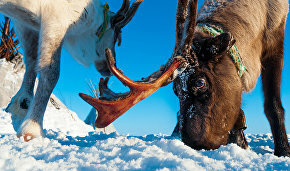 The Nenets are happy if they have a herd and a strip of tundra for the reindeer to graze on. They really need very little from life, and what people in big cities may wish or strive for is something extreme and incomprehensible to them. As far as life in a fur tent is concerned, we should understand that it is not quite the kind of life that it was half a century or a century ago, when the Nenets could do without modern conveniences. They have an electric generator: they switch it on for five or six hours every day and watch TV for a while, mostly the news and movies. They have a snowmobile, a Buran, which Radik drives to a town where his children live. Incidentally, the majority of reindeer herders have housing in towns. But, as I said, the most important thing for them is the tundra and their reindeer and the tundra pulls them back. Radik's children live at their relatives' and go to school. But they come to the tent every weekend and Radik and Nina teach them how to live in the tundra and the tent. I mean there is a continuity of traditions. Please tell us about your film. The film runs 42 minutes. We finished it last October. There are two parts. First, the road to Naryan-Mar, with information about Usinsk, Syktyvkar, and the road itself. We devoted much time to the winter road and how we negotiated it. The narrative is by the expedition participants. The second part covers our arrival in the Nenets Area. We tried to show life there in an accurate and informative way. In this part, the narrative is both ours and local inhabitants'. The main idea is that the Nenets Autonomous Area is a unique region with an original culture and its own specificities, which you should visit at least once in your life. The film premiered last November. Where was it shown? We showed it in 13 Russian cities. The first screening was at Moscow State University, to an audience of 300 people. The next screening was at the lecture hall of the Russian Geographical Society in St. Petersburg. Then there were screenings in Kursk, Oryol, Lipetsk, Tambov, Voronezh, and the Nenets Autonomous Area itself at the local administration's invitation. In February, we'll show it in Minsk, Brest, Krasnodar and possibly another two or three cities. We're planning a couple of screenings in Moscow. In March, the film will be posted in the Internet. What expeditions are you planning in the near future? We have a lot of plans, including new films. Right now, we're looking for project sponsors. 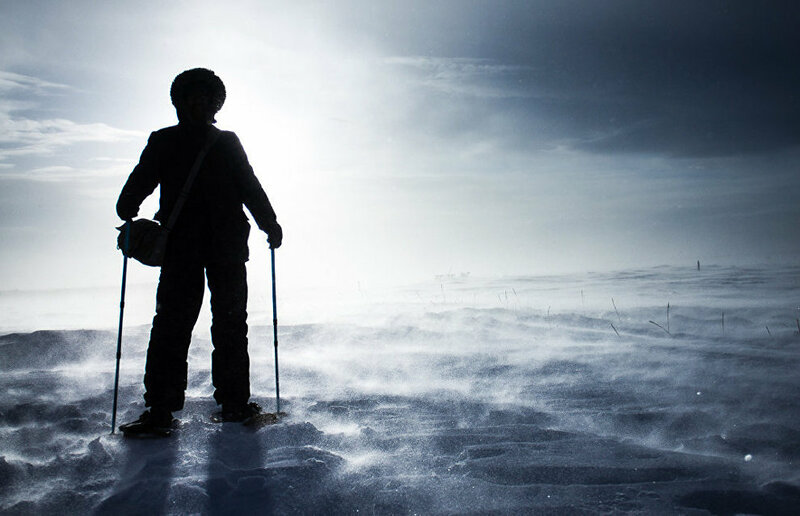 This summer, we'd like to organize a real geographical research expedition to one of the Siberian regions. We want to invite our institutes and researchers. We'll certainly be popularizing science. We'd like to show people how geography is interesting and important. Also, we hope to make young people who are choosing a career, interested in geography. After all, a geographical education allows you to travel to places that other people can only dream of, and do it cheaply.